An avowed ‘night owl’ communes with glowing scorpions and night-blooming cactuses on a guided, after-dark hike. I’ve been a night owl since … well, forever. This puts me at odds with most people. But it’s a real advantage during a Phoenix summer, when the hours after dark are, in my opinion, the best time for hiking into the Sonoran Desert. I know what you’re thinking: What about the creepy-crawlies? What about the prickly plants hidden from sight? What about the risk of losing the trail? Locals who know their favorite trails like the backs of their hands don’t fret over such fears. 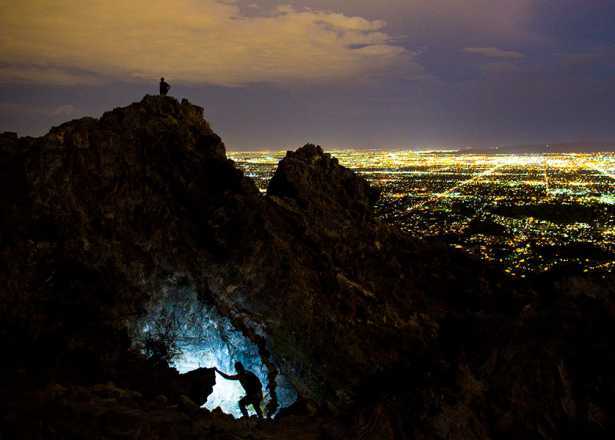 But if you’re not an experienced local hiker, you can rely upon one: The Maricopa County Parks and Recreation Department offers ranger-guided moonlight hikes at several of its parks across the metro area. My first evening hike was at Cave Creek Regional Park. The desert air had cooled from its daytime high, and twilight was giving way to night—a transition my friend Barb calls “betwixt and between.” Goosebumps rose on my arms; I was glad I was wearing long pants and long sleeves. Though we had flashlights, we were instructed to use them only if our eyes didn’t adjust. Of course, they did, and almost everyone switched off their beams. Our group of 20 adults and children was largely silent as we walked the trail single-file under the fading glow of sunset, the moon simultaneously rising as the sun sank orange behind a peak. Bathed in the gloam, the undulating silhouette of the mountains offered a comforting presence and navigational marker. The desert—especially in summer—is alive at night. We humans who walk into serve as both observers and the observed. When you recognize that, it is a primal and powerful feeling. The ranger reaches down, turns over a large rock and trains an ultraviolet light on the ground. 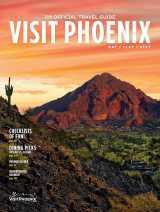 A half-dozen scorpions, glowing blue-green under the beam, skitter out from under the rock, across the desert floor. There are “oohs” and “aahs” as we draw near to see the arachnids with their curled tails. Someone hears the sound of hoof on rock: a javelina, perhaps, or a mule deer. My ears prick. As if on cue, the yips and cries and howls of coyotes lift in the distance. Someone else spots the distinctive orange-and-black body of a Gila monster as it slips under a creosote bush. A cactus wren wings with an audible “whoosh” into its nest-hole in a saguaro that towers 20 feet above us. Many flowers open at night, including the creamy-petalled sacred datura and the night-blooming cereus known as “The Queen,” which emits a heady perfume that clings to my hair and clothing through the next day. Hooked after my night hike in Cave Creek, I downloaded an app that tracks the moon’s phases. Now, whenever I get the chance, I take to the fringes of Phoenix when the sun wanes. I’ve made evening forays into the Estrellas, Lake Pleasant, Spur Cross, Usery Mountain and the White Tanks. And my confidence has grown; I’m now comfortable enough to hike solo after dark. I’ve even hiked under a new moon, in near total blackness. I’ve heard the territorial hoot of the great horned owl. With stars winking above me, I’ve seen rattlesnakes and roadrunners startle each other, a bobcat sipping from a cistern, a coatimundi padding through the uplands, a gray fox trotting 20 yards from the trail, a coyote shadowing my every step, a pair of tarantulas facing off in the moonlight, bats emerging from the mouth of a cave. I will never tire of sunshine-and-blue-sky hikes. But the desert is a completely different experience at night. With my night-owl tendencies, I can’t help feeling I share a kinship with all the nocturnal creatures that live in Phoenix’s wild places. Step into the darkness, and you might feel the same way. 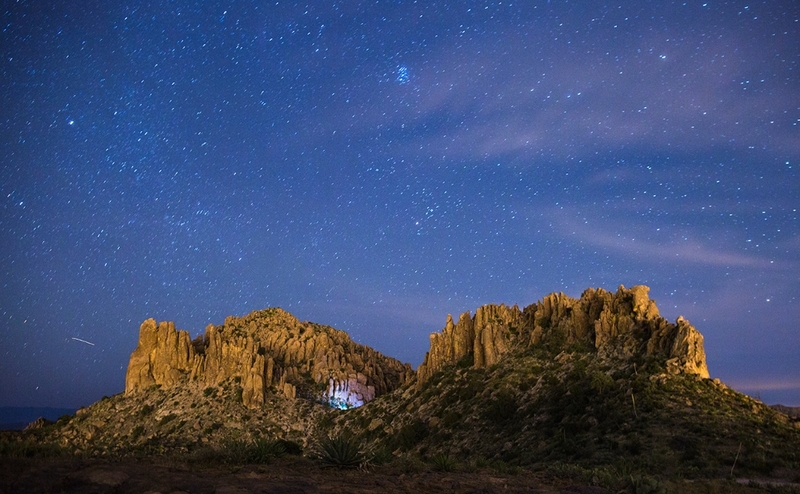 Visit the Maricopa Country Regional Parks and Recreation events calendar and Lost Dutchman State Park&apos;s website for more information on upcoming events such as guided moonlight and full moon hikes. 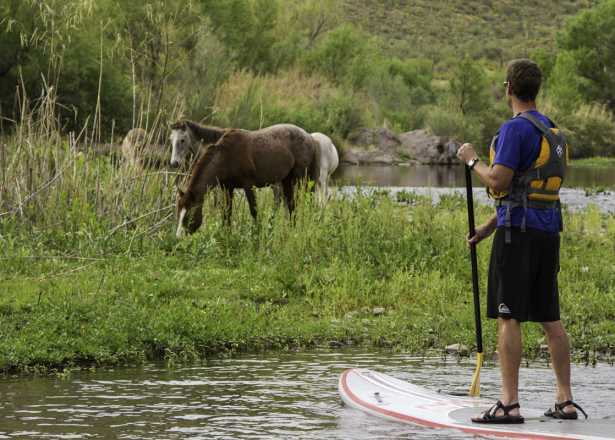 A leisurely float puts rivergoers up close to wild mustangs, blue herons and bald eagles. Get the details on moonlight hikes, stargazing, art walks and more things to do when the summer sun sets.